What is more important? Seeing YOUR doctor or seeing ANY doctor? Housecall was designed to be used as an extension to your provider. All of the other major telemedicine providers out there are designed to provide isolated care for minor health issues from any available doctor. American Well, Teledoc, and Doctor on Demand are all excellent companies that fill the telemedicine niche filled by the walk-in clinic in the face to face healthcare world. Housecall is different. Housecall is designed for the patient with an ongoing medical relationship. It is designed to accentuate chronic care of some of the most common health conditions that plague many of us today: Hypertension, Diabetes, Obesity, Coronary Atherosclerosis, Congestive Heart Failure, Tobacco Addiction. It provides a platform for a quick follow up visit with your provider free of the lost day of work and the hassle of sitting in a crowded waiting room. It heightens the level of care you can achieve in today’s health care system by allowing you to be the keeper of your health data and giving you the ability to share that data directly with your provider. The Withings app, digital scale, and blood pressure cuffs are supported. The Jawbone app, Up band, and Up24 bands are also currently supported free of charge. 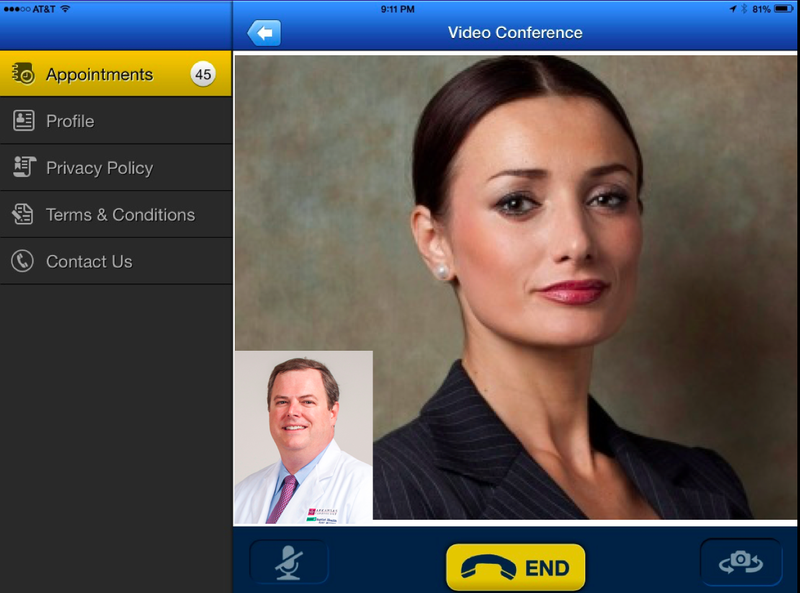 Any app data on an iPhone or iPad can be shared with your doctor with a simple screen shot. Any picture can be sent directly to your provider and available for review at your telemedicine session. We are growing rapidly. We add many new patients and new providers daily. If you want this kind of connection with your doctor and they don’t yet use Housecall, ask them to add Housecall to their practice. Don’t just connect with ANY doctor. Connect with YOUR doctor using Housecall today!